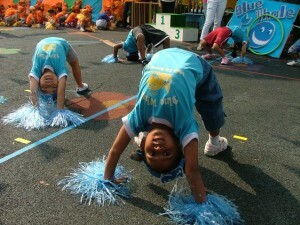 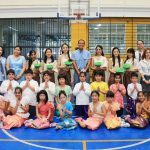 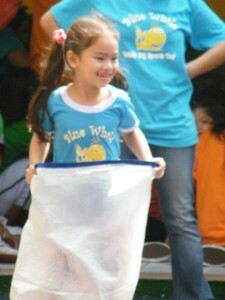 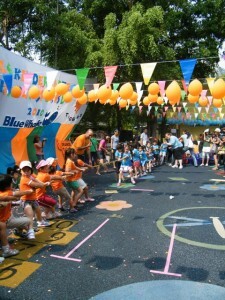 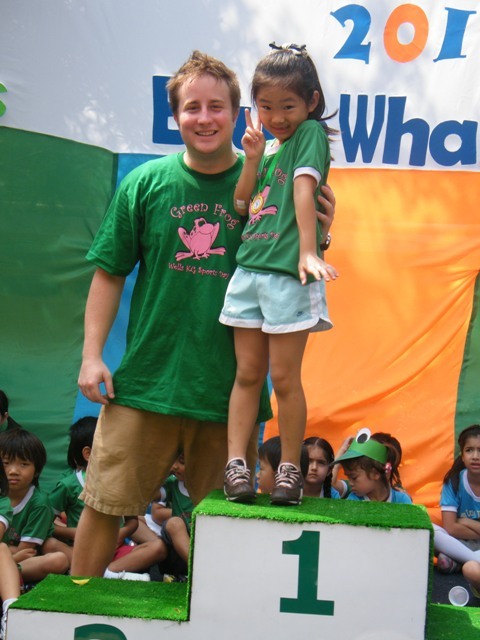 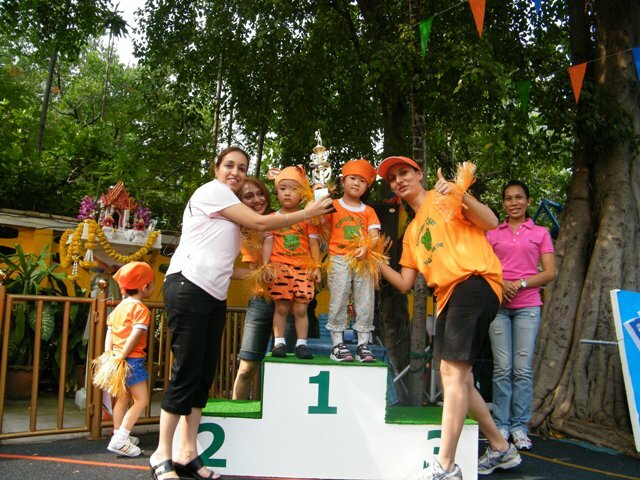 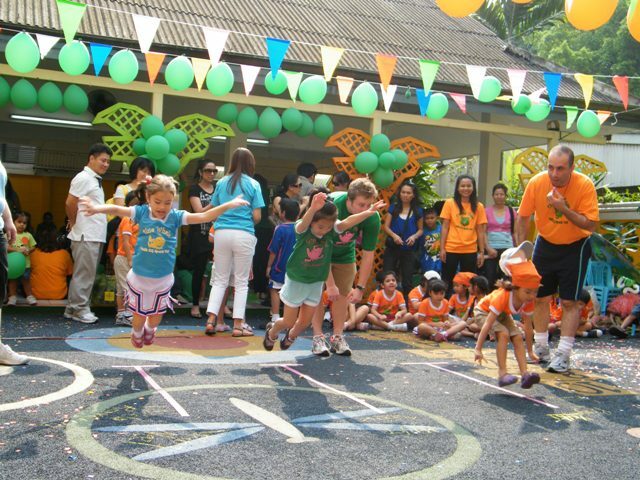 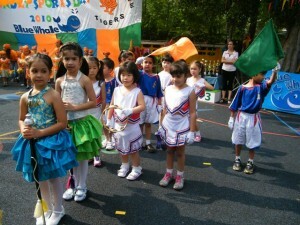 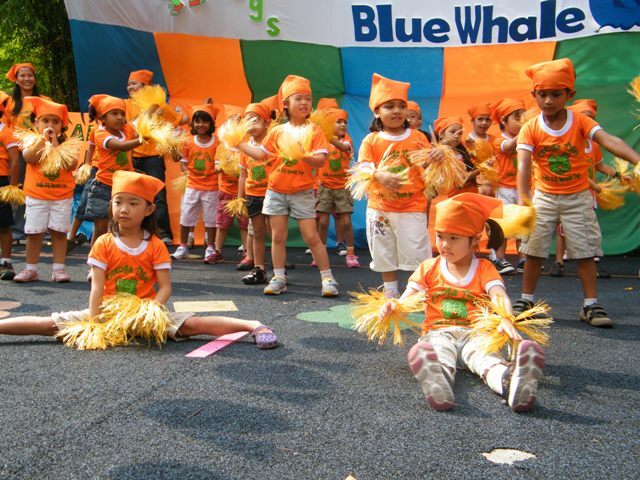 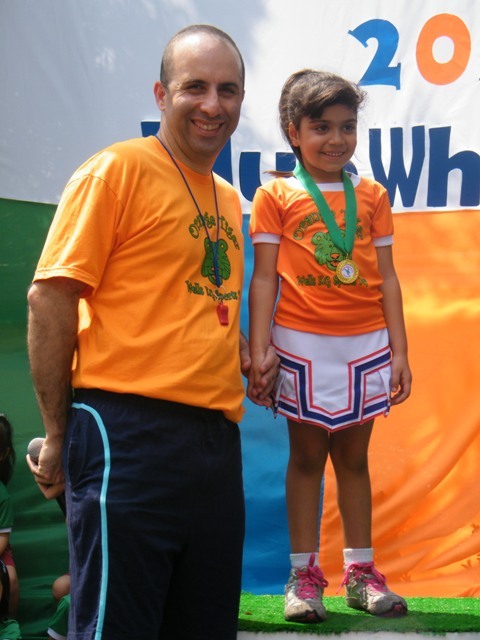 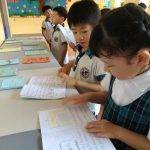 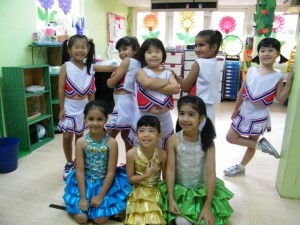 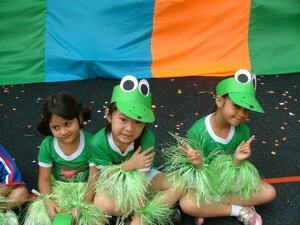 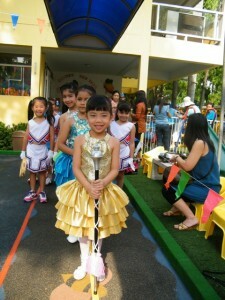 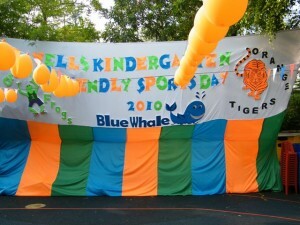 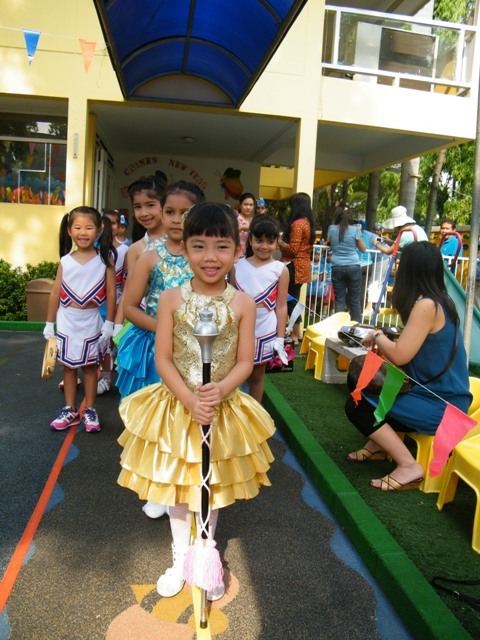 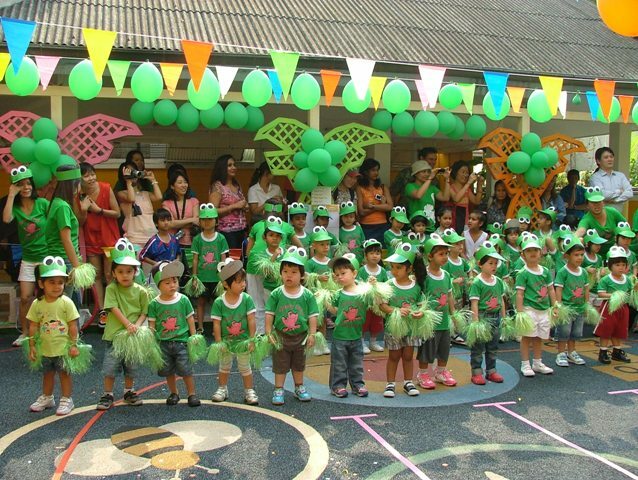 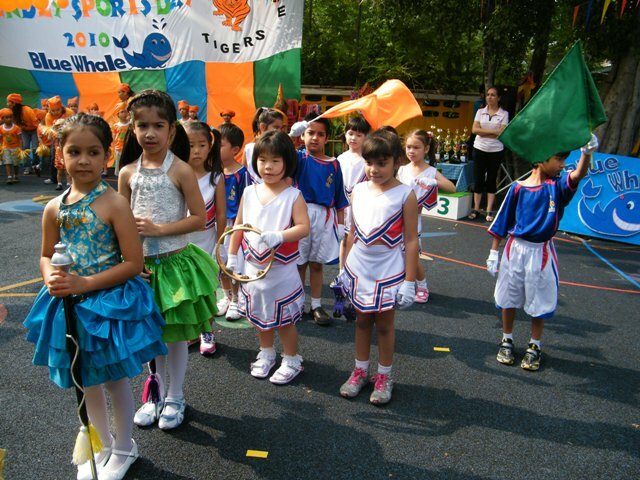 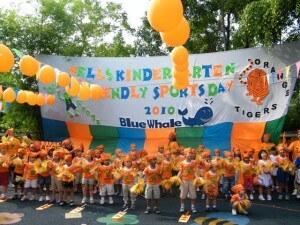 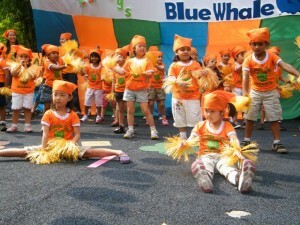 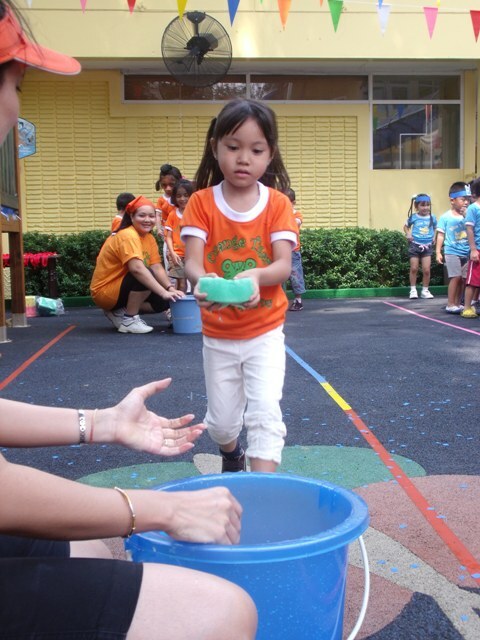 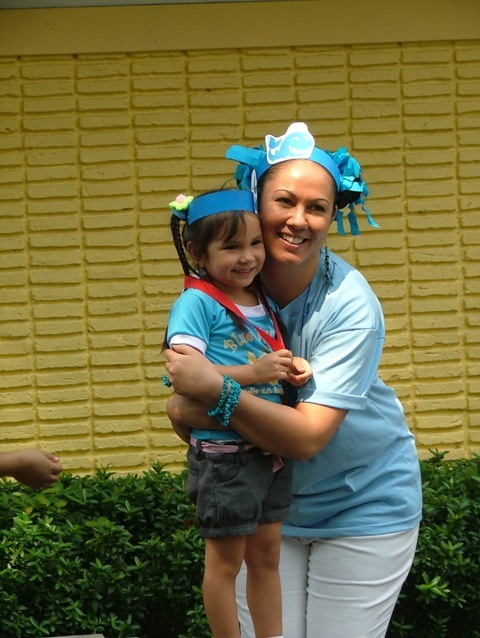 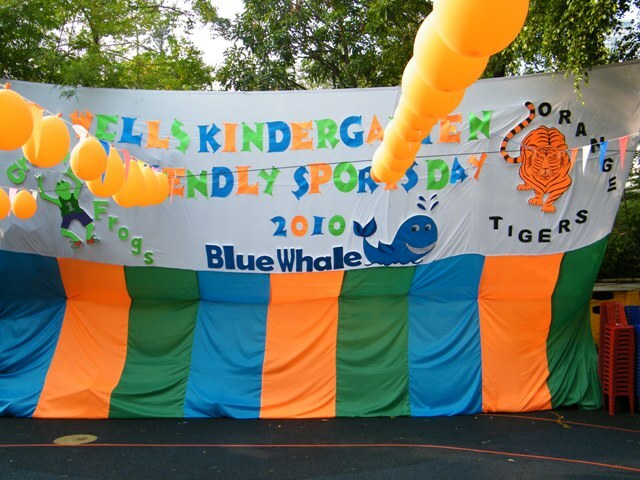 On Thursday, March 11, Kindergarten celebrated Sports Day at the Sukhumvit Soi 47 campus. 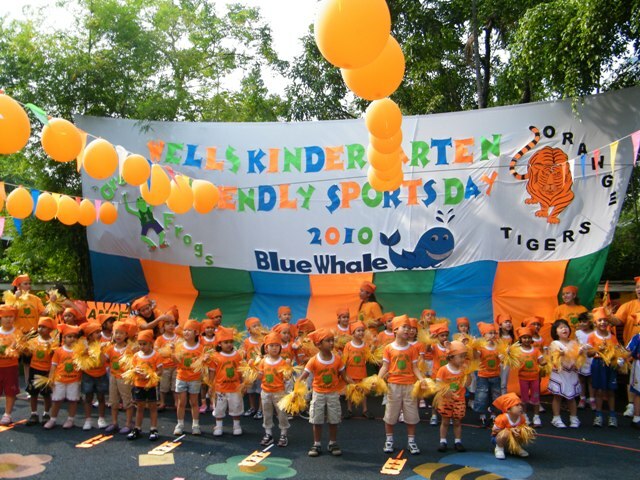 The three teams: the Green Frogs, Orange Tigers, and Blue Whales; each had their own chants and cheers to pump up the teams before the big event. 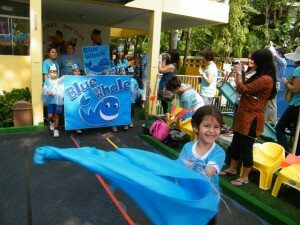 The teams, dressed in their new team uniforms, marched around the play area to many cheers from the supportive parents. 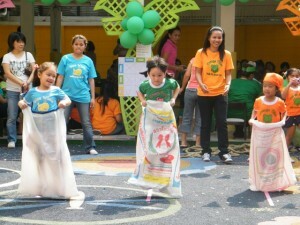 After each team’s impressive dance performance, it was time for some fun games. 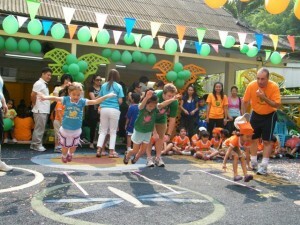 Even the parents had the chance to join in and show their athletic competitiveness! 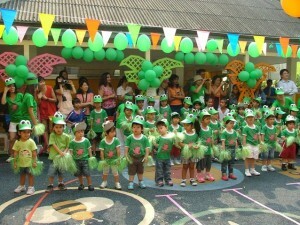 The children had so much fun and made the parents and teachers proud with their fantastic team spirit!